This is totally ripping off my friend's newest pet theory, but at least I'm giving him credit. His name is TPTP, a mod at LOST-TV, and he helps me a great deal with screencaps, audio, etc, and notices interesting things sometimes when he's 'capping. When I saw this, I recognized it right away. 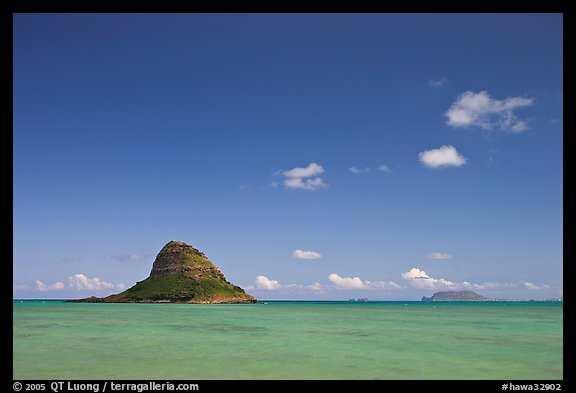 I lived in Hawaii for a short while, and I'm pretty sure that this was the "Chinaman's Hat" a small island and popular tourist photo op, not far from Kailua and Kaneohe Bay (northeast shore-ish). ...of course, it could just be another editing mistake, since they only had 17 days to shoot the finale, and this was a very brief scene (angle of shooting at the boat)... still, you would think they would have edited out such a recognizable landmark. This could be the island that the Pala ferry went to. Unless the editing was not sloppy and we were meant to see it. Pandora Girl you gotta also post this in continuity errors topic as this is a big one. 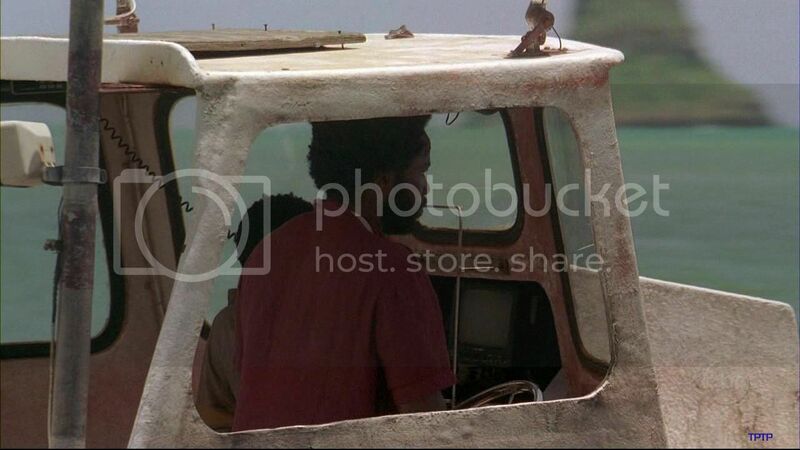 Hey guys let's take Desmond's boat and check out that island.DAh,nice work producers. I took a look at this shot and it appears tha Michael has the island to his left (on the port side) and then he turns the boat away from the island (if it's an island and not a penninsula). This may be one of the small islands from Daniells's map (unlikely) or a similar small and insignificant rock.....Remember, on a vocanic island there will be several small formations just ofshore that don't really qualify for "other" island status. 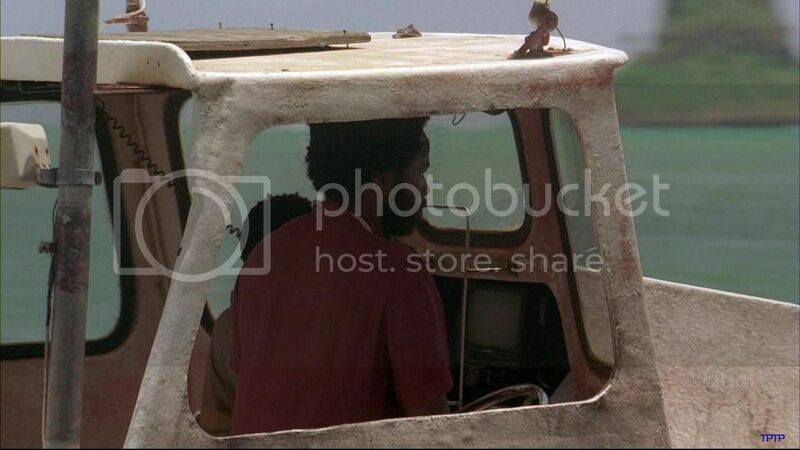 i dont think it is just poor editing they could have just shot from the other side if they didn't want to include it unless they are really sloppy but i'm trusting they aren't another island seems logical for other hq? Thaks pandora for adding that to the continuity error forum.